Kaitlyn 805-801-8657. Myofascial, Deep Tissue, Trigger-Point, Sports Massage, PNF Stretching, Swedish, Aromatherapy. 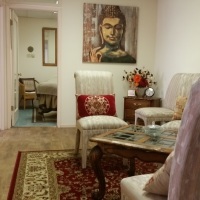 The following therapists use the space from time to time. They are available for appointments on as needed bases. Deanna 805-471-3027. Relaxing. Lomi-Lomi. Hot Stones. Aromatherapy. Melesa 209-628-0884. Relaxing. Intuitive. Reiki, etc. You must call them directly and make an appointment. They work independently. ARE YOU A MASSAGE THERAPIST looking for a place to rent? 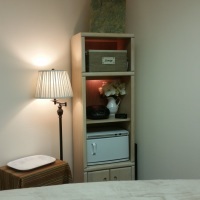 The Sanctuary has 3 fully furnished massage rooms with hot towel cubbies, table warmers, etc. All you need is your sheets and oils/lotion.